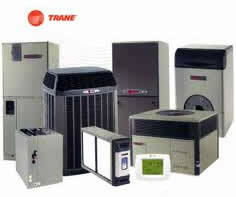 Trane heat pumps and air conditioning systems. Trane heat pumps provide reliable and efficient comfort for heating and cooling. Match with a dual fuel system for the ultimate in comfort year round. With efficiencies up to 21 SEER and variable speed technology, you can be assured your house will be cool and comfortable in even the hottest dog days of summer. Variable Speed, two stage, or single stage heating. Trane gas furnaces will keep your house comfortable and warm in the dead of winter.. Need an all in one system with the durability to last in the harsh outdoor environment, let us quote you on a new Trane packaged Heat Pump, Gas Electric, or Dual Fuel System. Need to cool and error that is otherwise impossible to install ductwork? Let us make your impossible, possible with a Trane Ductless heating and cooling system. Installing a new energy efficient Trane heat pump system can reduce your power bill significantly while providing unparalleled comfort with variable speed technology. Whether you are looking for an exact replacement or upgrade, let us provide you with a free estimate for your system. After a long hot day at work, nothing compares to relaxing in a cool comfortable home conditioned by a new energy efficient Trane Air Conditioning system. Add in a Trane Clean Effects air cleaner and Comfortlink thermostat for the ultimate in air conditioning. The Clean Effects™ air cleaner removes up to 99.98% of airborne particles for allergen relief. Installing a Trane Comfortlink™ Thermostat allows you complete control of your home comfort system from your smart phone or tablet. All in one heating and cooling systems built with Trane durability for the most extreme weather conditions. Let us quote you on a new packaged Heat Pump, Gas-Electric or Dual Fuel system for your home or business. 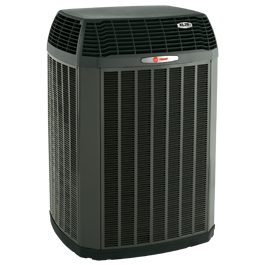 Condensing and non condensing Trane gas furnaces when matched with a Trane air conditioner or heat pump can provide year round comfort and reduced utility costs in your home or business. With efficiencies up to 95% AFUE, a Trane gas furnace can provide you with warmth in the coldest of conditions while keeping utility costs at a minimum. Let us quote you today on converting your existing oil furnace to gas or just upgrading your existing gas furnace to a more efficient system. Need air conditioning but you don’t want to give up valuable living or closet space for ductwork and equipment? Let us provide you with a free estimate on installing a new Trane Ductless Split or Multi Split System. Perfect for second floor lofts, recreation rooms, finished rooms over the garage (FROG) or whole house heating and cooling. Available in heat pump and straight air conditioning, Trane split systems are energy efficient from 16 to 27 SEER. Let us find a solution to your heating and air conditioning challenge.